Salads and I go together like peas and carrots. Or peanut butter and jelly. Or chocolate-chip cookies and milk. Or steak and red wine. Or really any other epic food pairing. But lately, my love affair with salads has dried up a bit. I’m not sure what’s up — especially since summer is salad season — but I’m just not craving a big ol’ salad lately. But what I recently tried that I am LOVING and is a great way to still get my veggies in without the salad format? Gazpacho! 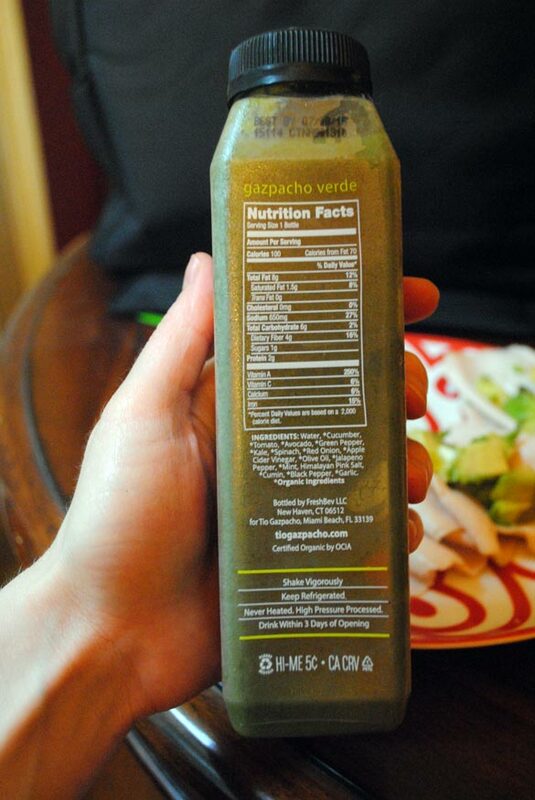 And, guys, this Gazpacho Verde flavor is everything. With a little hint of heat (that’s the cayenne and garlic), a little hint of cool (that’s the cucumber) and a whole lot of fresh (that’s the mint), this gazpacho is my new favorite healthy summer snack. The avocado makes it filling, the mix of ingredients is just delightfully surprising yet delicious on the tongue, and the nutritionals have me feeling really, really good about it all. I just feel healthier drinking it. 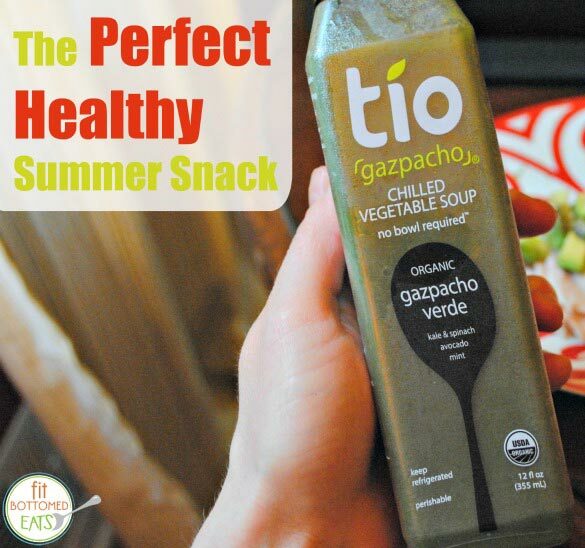 Tio Gazpacho has some other varieties but the Verde is by far my favorite flavor. It even makes for a great light lunch when paired with a little protein. Unfortunately, it’s only available in a few cities as of now, but I hope that changes. And fast. Because I need this in my life on the regular. In the meantime, I guess I’ll just need to make my own. And wait for gazpacho to become the new hot food trend. I think it could be like the new green juice … !